This topic contains 1 reply, has 2 voices, and was last updated by Richard James 5 months, 4 weeks ago. Hello, my name is Cameron O’Connor. I live in Portsmouth, UK. I recently (accidentally) discovered the Atalanta 26 online. I was actually researching dinghy cruising. Immediately upon seeing these boats I was fascinated. I am reading what I can online, but would love to see one of the boats in person. Are there any in my area, and possibly someone willing to allow me to have a look? Though no longer pursuing it as a career, I have prior boat building experience (glassfibre, composite, wood). 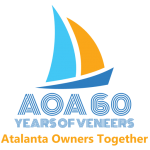 I also attended a two year wooden yacht restoration course at IYRS (International Yacht Restoration School), in Newport Rhode Island. It’s great to hear from you, especially with your boat building experience. The good news is that there are 2 very different Atalantas very near you. The first, Emma Duck, is in Emsworth Marina. Since 2008, Emma Duck has been laid up in Emsworth Yacht Harbour in West Sussex, under a robust tarpaulin. Prior to coming ashore she did however have a brief dip in the harbour, attributed to the rudder blade bridle wearing through, allowing the blade to drop on a falling tide, but she is now fully dry. Having sat under a cover for 9 years, she now needs rubbing down, undercoat, paint/ varnish, but is sound. · New engine, or complete rebuild of current 1974 Volvo engine. · Some toe-rail section replacement. · Repair to foredeck near stemhead. She is for sale for £500 ono. Most importantly, we would like to know she is being looked after and cherished because she’s a lovely boat and deserves more attentive owners. With a concerted spring refit, Emma Duck could once again be collecting admiring gazes on the water this summer! The next is A15 Artemis II, which is in Prinstead Marina. Please PM me at sec@atalantaowners.org and I’ll give you the owner’s contact details.